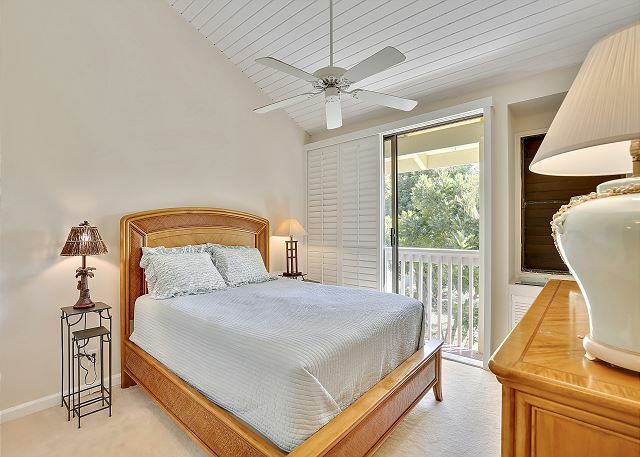 Lovely, second floor breezy, second story end unit on the 18th hole of the Fazio Golf Course.Fully equipped chef kitchen, exceptional beds and linens. Oversized washer/dryer, 3 TV's with DVD player,and A/C in living room, bedroom. WiFi. Screened in lanai. The unit more than met our expectations. It was clean, comfortable and quiet. 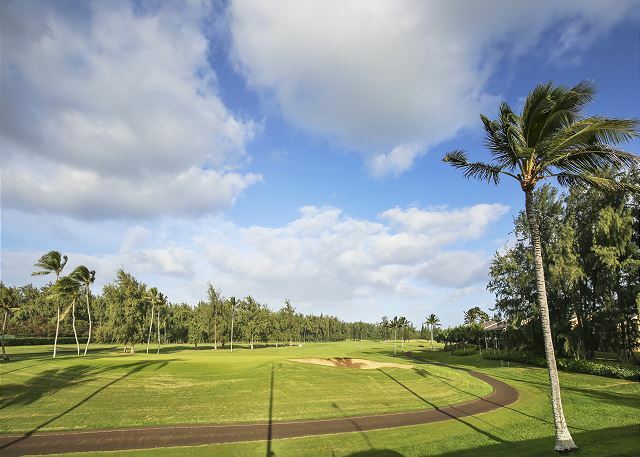 Beautiful location with golf course and ocean views. Bedroom TVs had no signal, however who watches fake news on vacation. Just what our family needed -very comfortable, much better than a hotel. 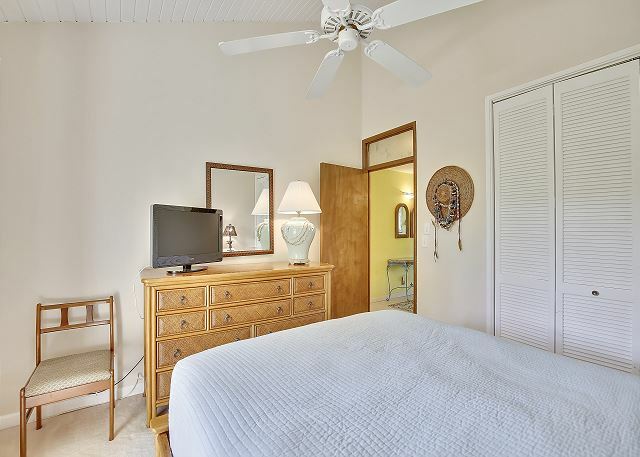 Plenty of room with a decent kitchen and at a cheaper price and more relaxing than Waikiki. Our teen son and daughter had no problems sharing the two bed loft with its bathroom. While mom and dad got the privacy of a bedroom with an adjacent bath. 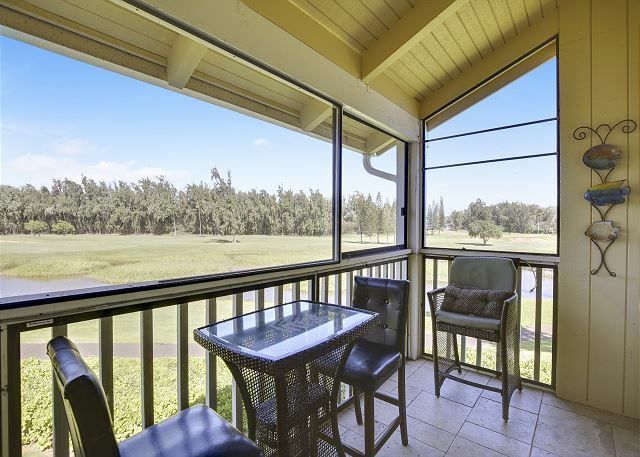 Golf course views with a glimpse of surf from the balcony. 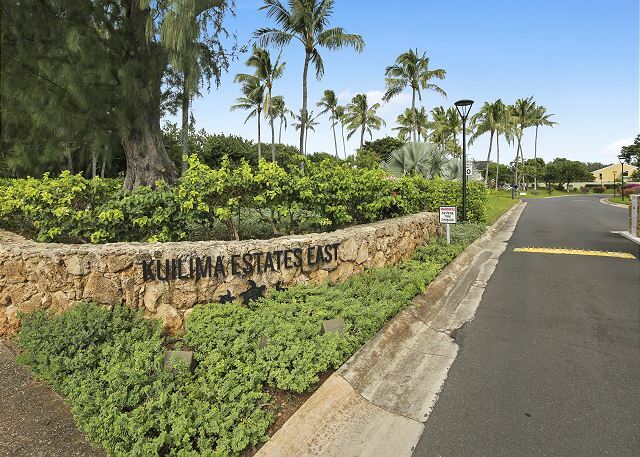 An easy walk (10 Min) to Turtle Bay Resort/Cove (public beach). 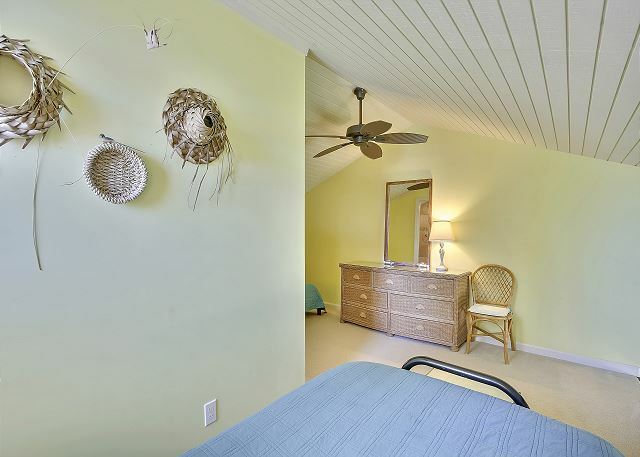 This unit did have some beach equipment available (chairs and boogie boards) despite Turtle Bay Estates saying "no", probably depends on the unit you get as they are individually owned. 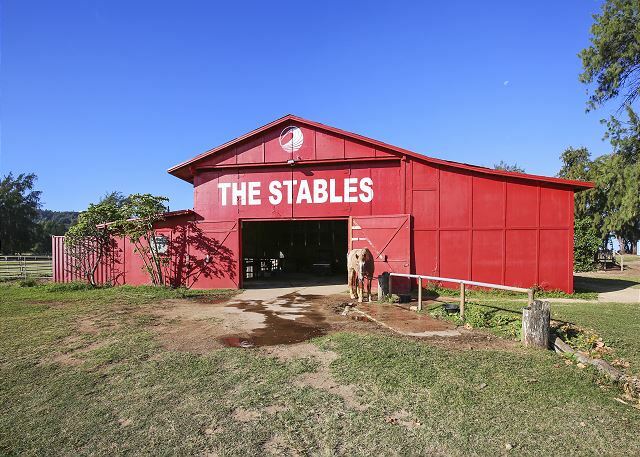 Very quiet and clean unit and complex. If you like loud and busy, this is not for you. 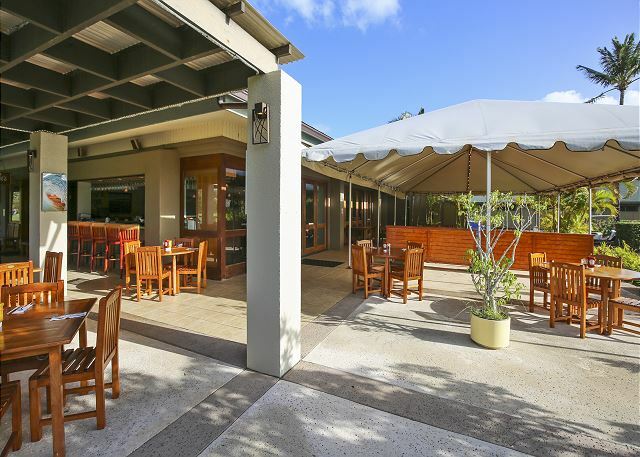 Dining out: many reasonable food trucks (they don't look like much, but they are very good) with picnic tables a short drive away (North or South), sit down restaurants with real plates other than Turtle Bay (expensive) are hard to find -a couple in Laie. Much to see and do -the Polynesian Cultural Center is a must if you haven't done it -only 15 min. away. Shaka and Mahalo! We truly enjoyed our stay in Morning Glory! Everything was so comfortable! It was the first time for my family staying at a vacation rental and it couldn’t have been more easy and enjoyable. This is one of the nicer condos we’ve stayed in and we’ve been coming here since I was a kid. 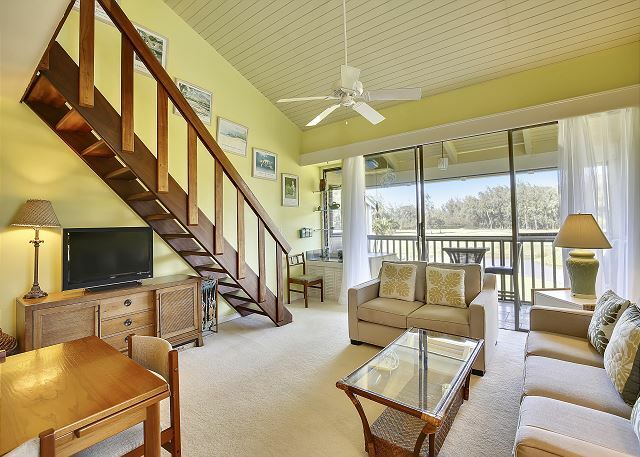 The owners did a great job with the updates, there was plenty of room for our family of 5 (3 kids), nice breezes, you can see and hear ocean from lanai, great location! I’d buy it if I could! 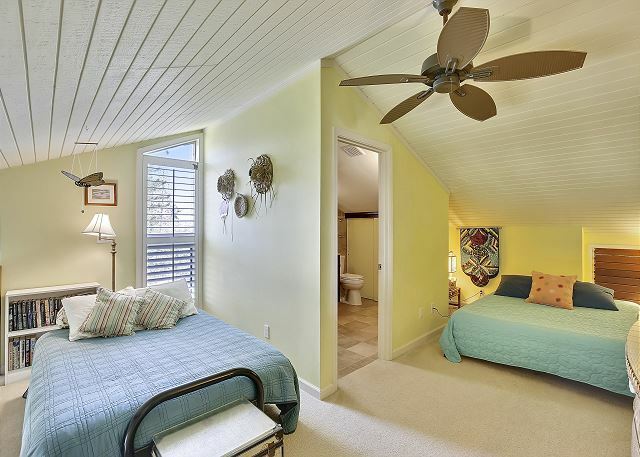 The upper loft bedroom/bathroom was perfect for my teenage sons. The kitchen was stocked with plenty of dishes, pans and utensils ... dishwasher worked well once you got the knack of starting. 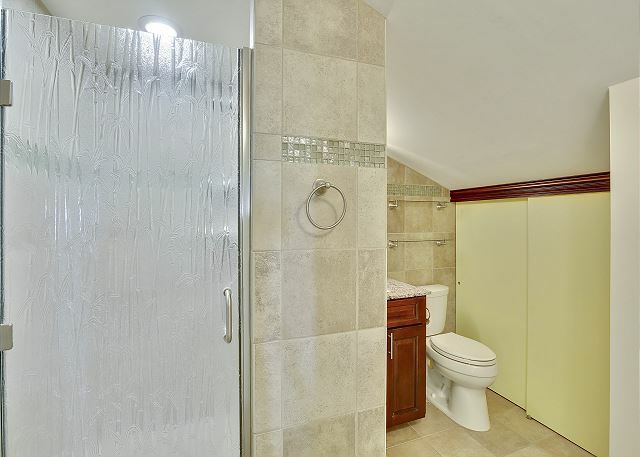 The downstairs bathroom was a roomy shower and I loved the rock/tile composition. Big enough hot water heater for 4 showers. The AC units were a little weak, but hey this is in Hawaii ... humidity is to be expected. Manager Response: Mahalo for your comments, hope you can come agian soon! 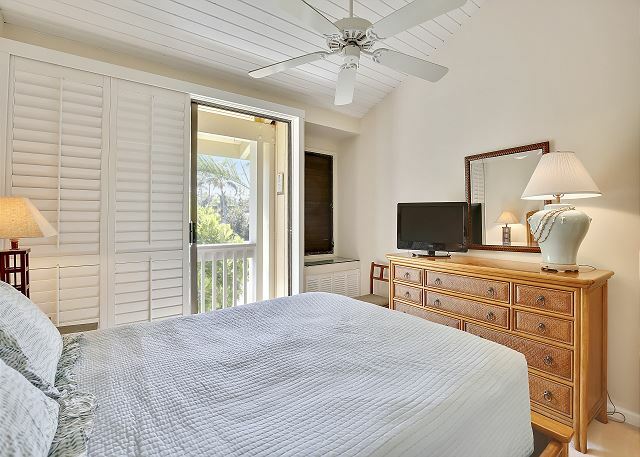 Comfortably sleeps 6, with just enough space to relax when not out doing all of the outdoor activities the resort and neighborhood have to offer. The kids liked the loft space, but we had to be careful with the younger ones because the staircase and stylish loft railings were spaced over 14" apart. Overall, it was a great stay, and the management company was very professional. Manager Response: Mahalo for staying with us, glad you enjoyed it. Our family stayed in the Morning Glory condo and it was perfect for our needs. The best thing about this apartment was the 2 bedrooms and that the loft area has 2 full size beds for our teenage kids. it was a great space. This kitchen facilities were great. The pool is located right next door. Only challenge with our stay was how hot the condo got during the day and management asks that AC not be left on when you are out of the condo. On the days we were out all day, it took quite a while for the place to cool down. We would however stay here again and look forward to returning again. 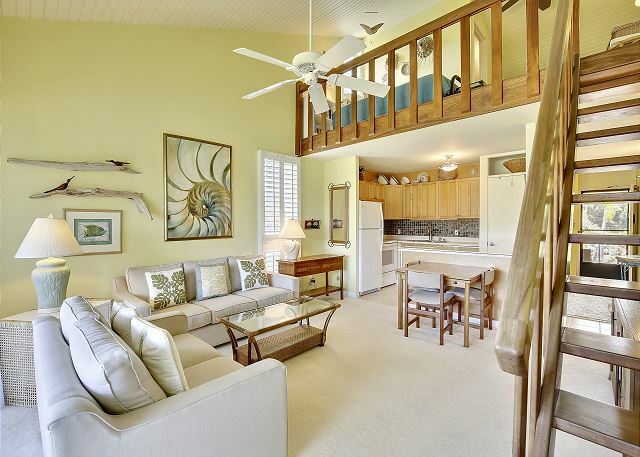 Wonderful Vacation ~ Excellent Condo! We had a wonderful vacation staying in this beautiful condo! The location was great as the North Shore is an absolutely beautiful part of Oahu. 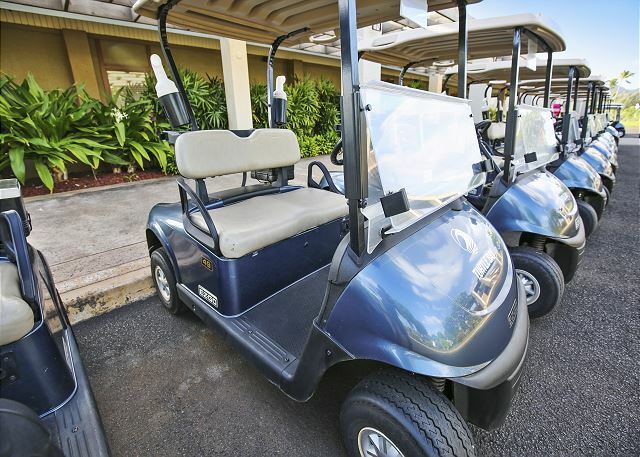 It is an easy walk to the beach either across the golf course ~ where there are also great trails along the ocean ~ or down the road (on sidewalks) into the Turtle Bay resort. It was also fun to see and HEAR the ocean from the lanai. Our family of 5 (including 3 adult children) found it roomy and comfortable. The price was great as well! This condo will be on our list for return visits.